You'll definitely what to take a look at this one! 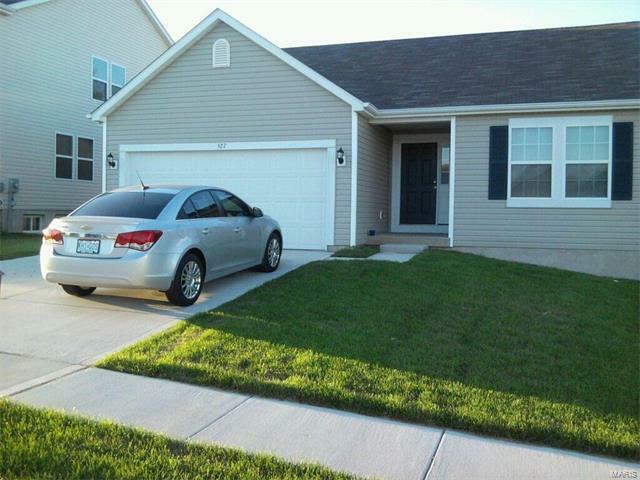 This is a great 3 bedroom 2 bath house located in the Ft. Zumwalt school district. This house was built in 2010 and is only 7 years old and still covered by a builders warranty for 3 more years! The kitchen is huge with tons of cabinets and a pantry. The master bedroom is sperate from the other 2 bedrooms and includes a master bath and huge walk in closet. House is open this Sunday (8/20/2017) from 1 PM to 3 PM.